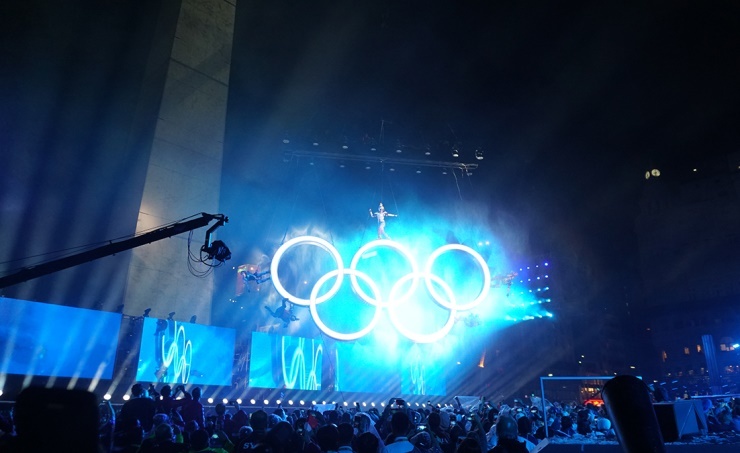 Buenos Aires, Oct. 7 (BNA): The Youth Olympic Games Buenos Aires 2018 got under way on Saturday with an opening ceremony that captivated both the thousands of spectators who gathered around the Argentinian capital’s famous Obelisk and the large viewing audience around the world. Around 2,000 people took part in the ceremony, which lasted nearly two hours, including more than 350 artists, technicians and musicians from the Argentinian theatre company Fuerza Bruta, which captivated a worldwide audience. More than 4,000 athletes are lined up for the Games, including Bahrain’s four athletes that will compete in three different sports – athletics, weightlifting and tennis. Ali Dawani is taking part in the singles, doubles and mixed doubles tennis events, Short-distance runners Ahmed Anan and Marwa Ebrahim Al Ajooz are to compete in the men’s and women’s 400m and 100m, respectively, while Maryam Sharifa is set for the women’s 48-kg weightlifting contest. Marwa was the Bahrain flag bearer at the nations parade during the ceremony, which was held outside a traditional stadium at downtown Buenos Aires. Sharifa, aged just 15, will be seen in action today (Monday) when the under-48kg weight category gets underway with nine athletes to vie for gold. Elsewhere, Dawani also starts his campaign today when he teams up with a player from Kyrgyzstan against a Belgian-Serb tandem in the men’s doubles opening round tie.